Dr. Victor Oelbaum & Associates proudly welcomes Victor Kagan, DDS to our practice. 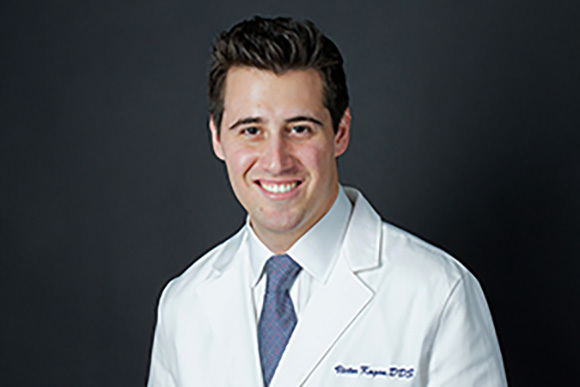 Dr. Kagan’s background melds a valuable combination of advanced training and diverse experience, allowing him to offer patients superior treatment in all disciplines of dentistry. Known for his caring approach, Dr. Kagan prioritizes creating a compassionate and enjoyable treatment experience. He has expertise in a wide range of fields, and is committed to providing state-of-the-art dentistry services and extraordinary patient care. Dr. Kagan is a graduate of Columbia University College of Dental Medicine. Following completion of a General Practice Residency at North Shore University Hospital and Long Island Jewish Medical Center, he spent an additional two years pursuing a Chief Residency and Implant Fellowship. During this time, Dr. Kagan became proficient in all aspects of implant dentistry, including advanced prosthodontics, implant surgery, and prosthetics. Dr. Kagan takes a caring approach with patients and works diligently to foster a comfortable environment for every dental treatment. His mission is to provide personalized dental care of the highest caliber.